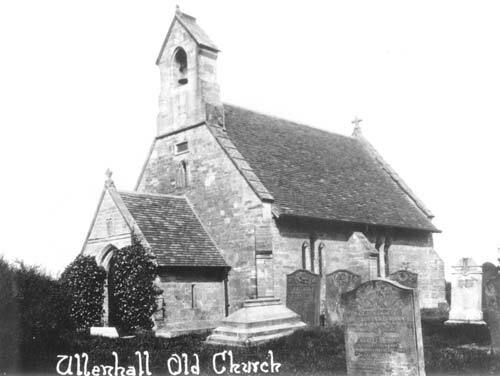 You are here: Home>Locations>Ullenhall>Old Church of St Mary, Ullenhall. 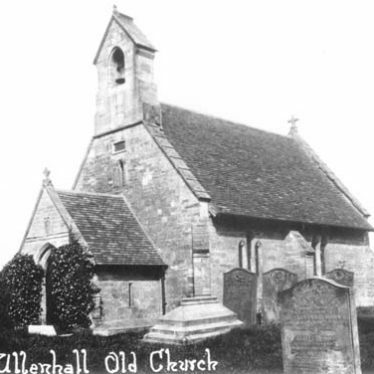 Old Church of St Mary, Ullenhall. February 2018. 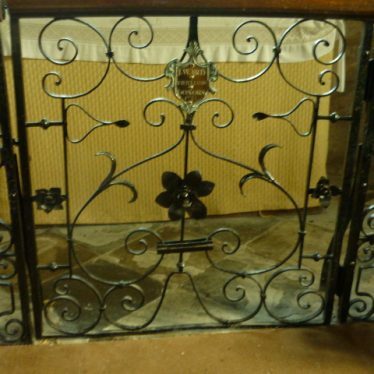 18th century communion rail gate. Old Church of St Mary, Ullenhall, 2018. 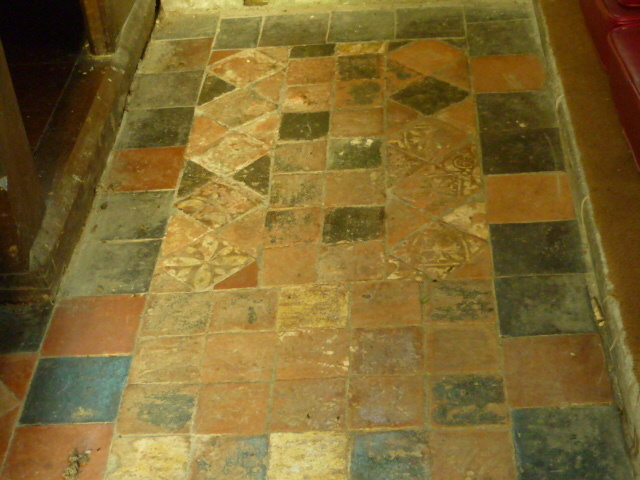 Medieval encaustic tiles. Old Church of St Mary, Ullenhall, 2018. 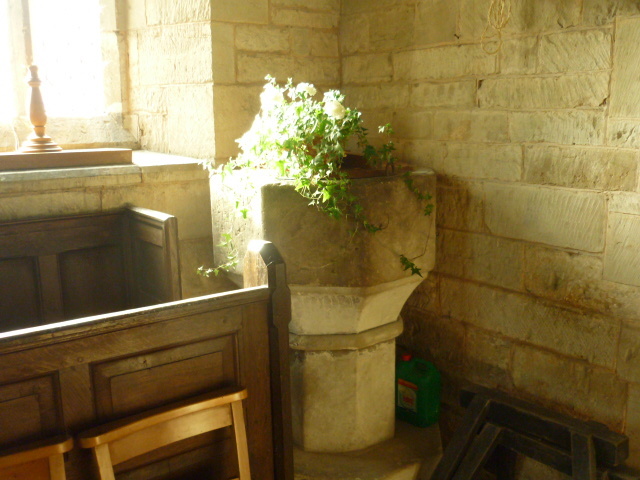 The font in Old Church of St Mary, Ullenhall, 2018. It is not the one pictured on this site in a 1920 photo. 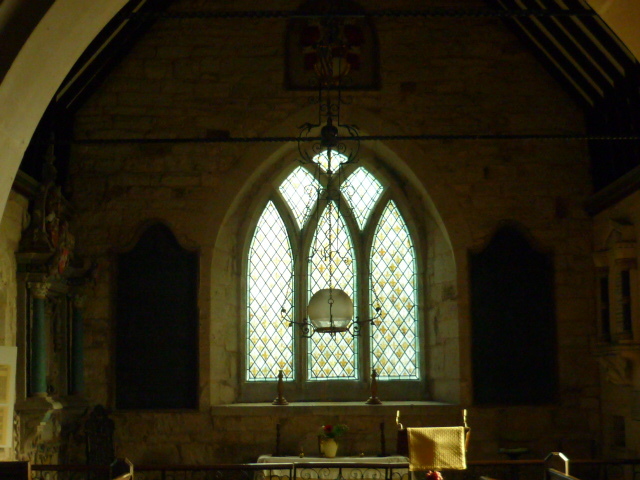 The alter flanked by cast iron boards detailing who is in the vaults not "commandment boards "as Pevsner calls them. Old Church of St Mary, Ullenhall, 2018. One of two gas lamps, which will be as interesting as piscinas in 500 years. Old Church of St Mary, Ullenhall, 2018. It is unusual to see funereal monuments still painted. Old Church of St Mary, Ullenhall, 2018. 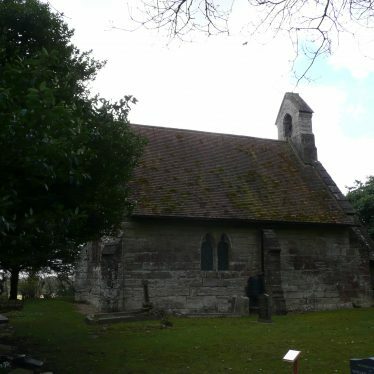 1 The old church of St Mary consists of a chancel only, fitted up as a chapel, about 8.2m by 5m and is of late 13th century date. 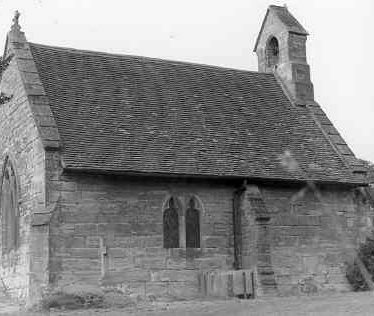 The nave was pulled down in 1875-6. 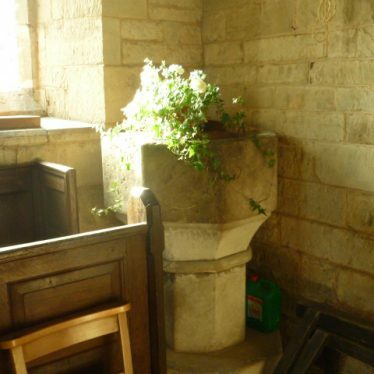 The font is 15th century. 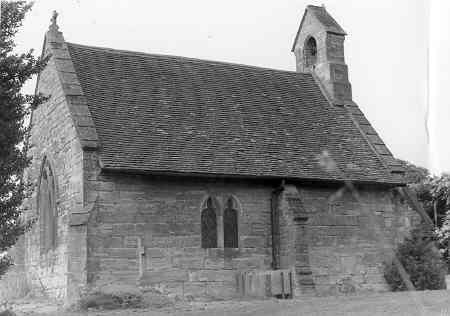 2 When the new church of St Mary was built in 1875 the old was considered unnecessary and the nave was taken down. 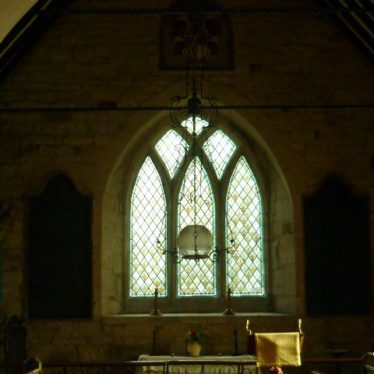 The chancel was retained to serve as a mortuary chapel (PRN 5123). 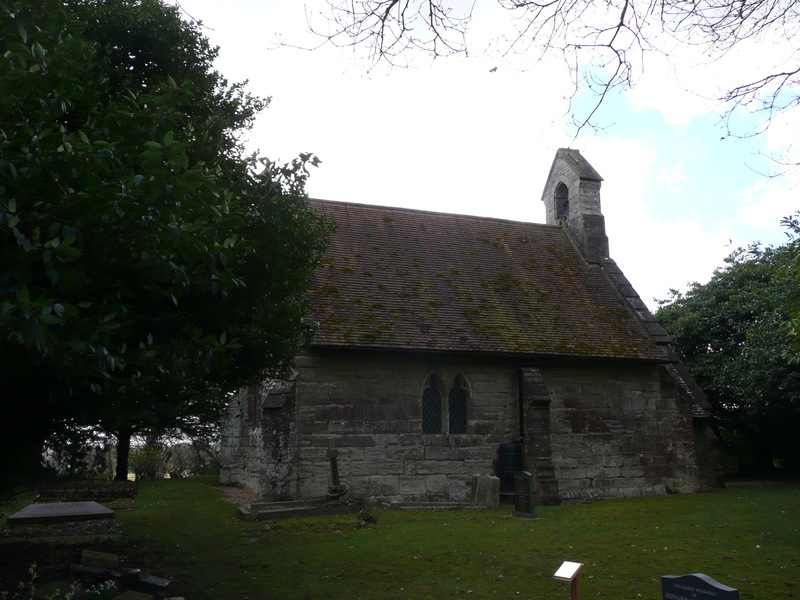 4 The chapel is still used for occasional church services, and the parish graveyard is here and not at the new church. 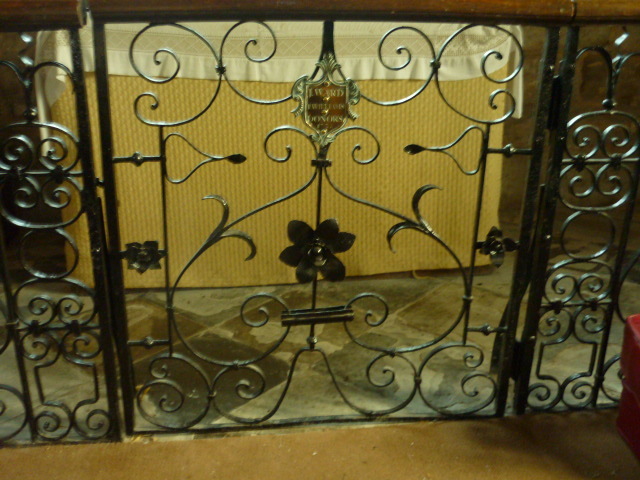 Both internally and externally the chapel is in good condition. 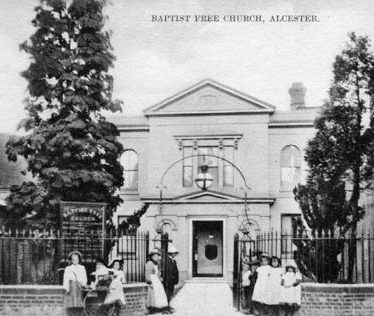 There is a plaque above the front entrance which states it was consecrated in 1836 by the Bishop of Worcester, which is rather puzzling as the new church was not built then. Possible site of a ford called 'Sceannforde' (Shining Ford) and known from documentary evidence. 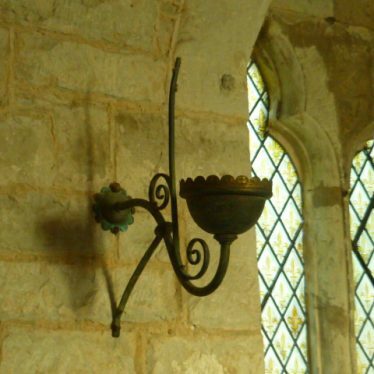 It dates to the Early Medieval period and is located 300m south of Danzey Green. The site of a lighting and fire civil decoy site from the Second World War designed to confuse the enemy aircraft into dropping their bombs in the wrong place. Documentary evidence sites it 800m north of Outhill. Hobditch Coppice, a managed woodland dating from the Medieval period to the present. It is located 300m north of Dean's Green. The site of a United Free Methodist Chapel which was built during the Imperial period. It was located in Warwick Street, Leamington. 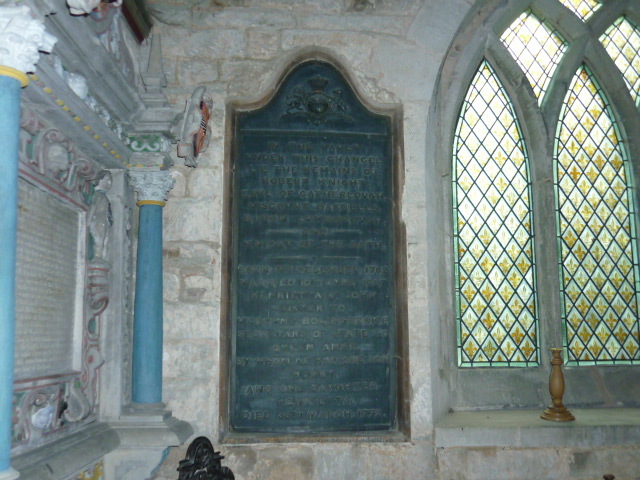 The site of a Methodist chapel which was built during the Imperial period. 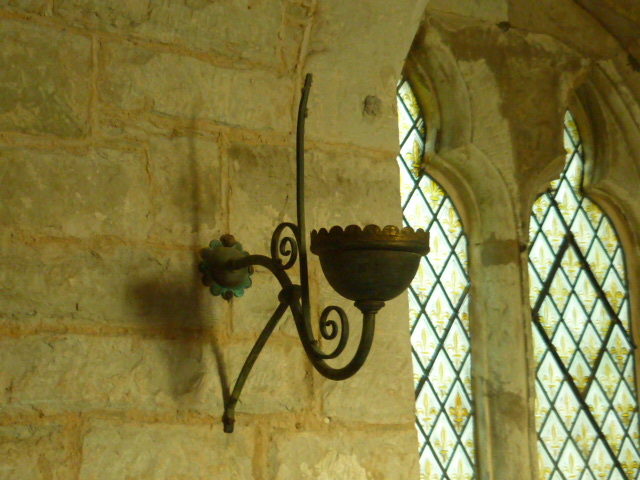 It was situated 100m south east of the church at Willoughby. 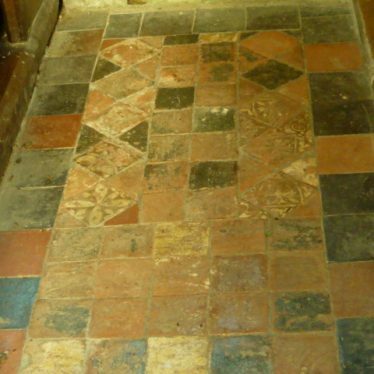 A vault was found under the Church of St Nicholas during the reflooring of the chancel. The vault dates back to at least the Imperial period. 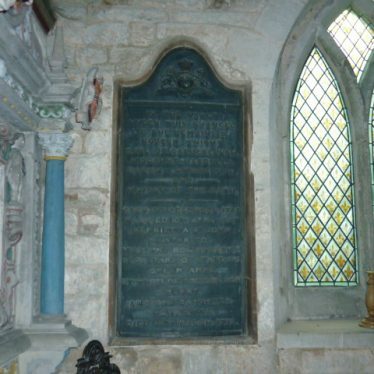 Four coffins were found inside the vault, only two of which appear to have been used.